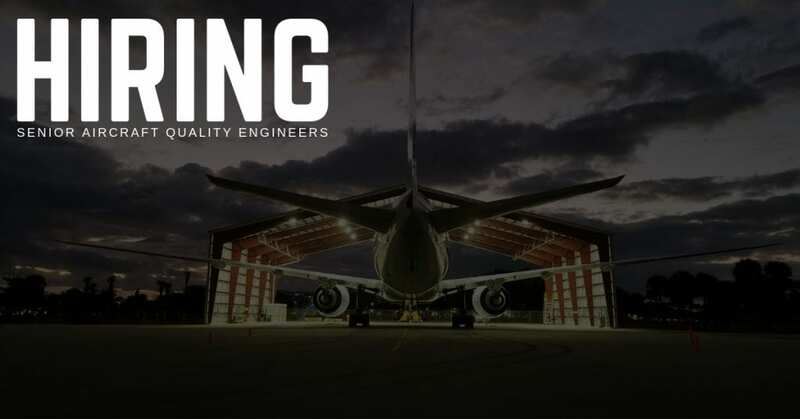 STS Technical Services is hiring Senior Aircraft Quality Engineers in Dublin, Georgia! Develops, modifies, applies, and maintains quality standards for products and processes. Provides diverse and complex statistical information for quality improvement by determining and applying testing methods and criteria. Responsible to guide technical evaluations, analysis, and related data acquisition processes to ensure division quality objectives are achieved. Assesses quality performance (or cost-of-quality) using statistical and analytical methods. Devises and implements various complex methods and procedures for inspecting, testing, and evaluating the precision, reliability, and accuracy of products, processes, and production equipment. Develops and establishes advanced quality systems and procedures, inspection plans, quality performance trends, statistical plans, cost estimates, and technical quality plans for proposals. Ensures that project and/or process control documentation is compliant with requirements and/or contract. Assesses the cost of, and determines the responsibility for, products or materials that do not meet required standards and specifications by performing difficult statistical analyses. May establish statistical confidence by identifying sample size and acceptable error and determining levels of confidence. Provides input on quality to product development teams; recommends producibility improvements by facilitating process reviews, addressing technical data packages, manufacturing methods, equipment, tooling and training. Identifies quality performance, trends and corrective action by coordinating with customers and suppliers. Ensures compliance to specified quality requirements by performing in-house and supplier audits and surveys. Develops and initiates programs to improve supplier performance. Designs or specifies inspection and testing mechanisms and equipment, and conducts quality assurance tests. Develops experiments by applying factorial or other techniques as appropriate for complex products or processes. Develops sampling plans and inspections by applying attribute, variable, and sequential sampling methods. Devises sampling procedures and designs and develops forms and instructions for recording, evaluating, and reporting quality data. Develops statistical process controls by applying and maintaining applicable control charts. Analyzes data by completing hypothesis, normal distribution, and process capability analysis tests. Prepares comprehensive reports by collecting, interpreting, analyzing, and summarizing data and making recommendations. Analyzes proposed changes in methods and materials. Compiles and writes training material and conducts training sessions on quality control activities. Acts as member of the Material Review Board and participates in related activities, failure analysis and corrective action investigations. Refines and enhances products and processes by applying continuous improvement and key lean manufacturing/production principles and techniques to critical areas of production. Represents company by interfacing with customers and regulatory agencies and assisting with internal and external audits. May act as main contact in audit. Develops and coordinates corrective action procedures and plans. Maintains professional and technical knowledge by attending educational workshops, reviewing publications, establishing industry networks, benchmarking state-of-the-art practices, maintaining American Society for Quality certification, and/or participating in other professional associations. Complies with federal, state, and local legal requirements by studying existing and new legislation, ensuring adherence to requirements, and advising management on needed actions. May provide leadership to others in department. Acts as prime contact on high level projects. Establishes goals, objectives, and metrics required to complete projects. Trains and mentors less experienced employees. Shares specialized knowledge with others. Represents company on high-level projects. Contributes to team effort by accomplishing related results as needed. Work assignments may include cross-functional or project team responsibilities (e.g. continuous improvement). Thorough knowledge of state-of-the-art inspection and quality inspection and quality engineering/assurance techniques, procedures, instruments, equipment, theories, principles and concepts and general business operations. Knowledge of aerospace industry or similar industry products and legal and regulatory requirements related to field. Ability to effectively assess and implement continuous improvement techniques to quality and manufacturing functions. Ability to use standard business applications software and/or specialized data analysis tools. Ability to work on a variety of problems of diverse scope and complexity where analysis and evaluation of various outcomes require tradeoffs and negotiation. Ability to solve a wide range of difficult problems in imaginative and practical ways and evaluate alternative solutions that may require coordination across multiple teams. Ability to establish goals and objectives to complete projects. Ability to routinely apply project management skills and to effectively use project scheduling computer software programs. Ability to read, analyze, and interpret technical journals, policies and recommend changes to procedures. Ability to effectively communicate and present information to team members, team leaders, and top management. Ability to respond to significant inquiries or complaints from customers, regulatory agencies, or members of the business community.